On Saturday, May 9th, 2015, FNB held a community wide celebration in honor of its 140th Birthday. 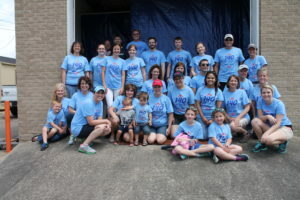 The 140th Birthday Block Party was held at the Mayfield Main Office, located at 101 East Broadway. The event was for all ages and offered a variety of giveaways and door prizes, in addition to inflatables, a petting zoo, snow cone stand, BBQ and more.